The Cam Newton Foundation, the non-profit recently started by Newton to address the “social, emotional, educational, and physical needs” of today’s youth, is hosting a a 7-on-7 football tournament in Atlanta this weekend. And the Blessed Individual and his awesome shirt are already on the scene. Here they are with tournament director and 1996 Auburn graduate Valister Wilson. 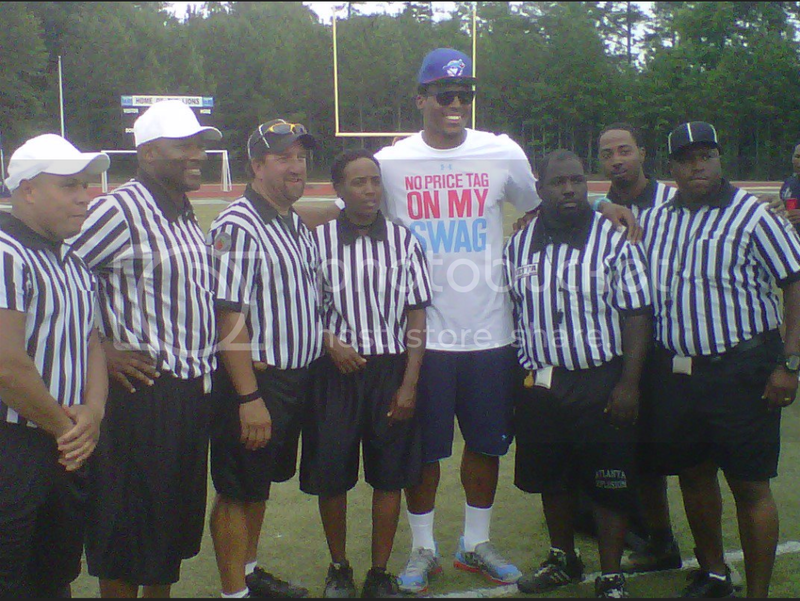 And here is with the refs. According to the organization’s website, the tournament will serve as a qualifier for the IMG Madden National 7-on-7 Championship at the end of June, the top four teams from earning earning a spot in the National Championship to be held at the IMG Madden Football Academy in Bradenton, Fla. Photos courtesy The War Eagle Society. Related: Cam Newton converts Bama child. 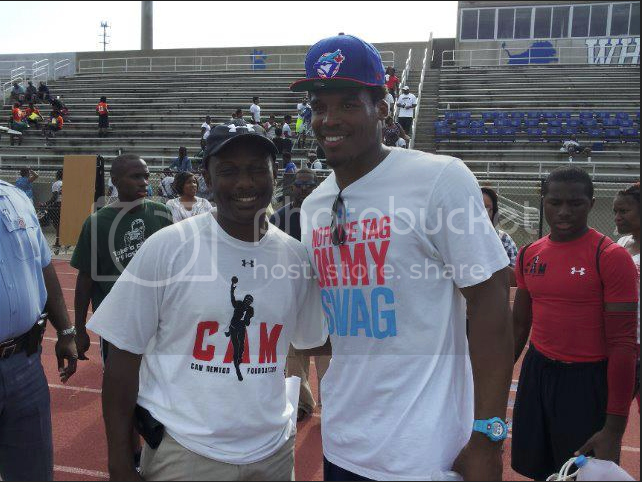 Whats Cam doing wearing a Blue Jays cap in ATL? Damn that guy is huge ! He’s surrounded by normal sized people who all look like dwarfs. You can imagine what those 5-9″ cornerbacks are thinking when he turns in their direction.